How to benefit from enterprise custom mobile app development? How can your company benefit from enterprise mobile app development? Now you can rarely come across a company that doesn’t use enterprise mobile apps. According to mobile market research, 82% of organizations have already implemented mobile applications to solve their operational challenges and stay competitive. And analysts predict the revenue for enterprise mobile apps will hit $430 billion by 2021! These figures clearly show that mobile is our present, not the future. Mobile apps can serve a wide range of goals: automation of different internal processes, simplification of various business operations, raising of employees’ productivity, the opening of a new sales channel, enhancement of customer service, and more. As companies are in constant search for new mobile solutions that will help them streamline their performance and increase profit, the demand for custom mobile app development grows even faster than the ability of mobile app development companies to satisfy it. Let’s take a look at interesting statistics representing the mobility of enterprise world. For now 82% of companies actively use enterprise mobile apps for various purposes. Today 69% of companies use from 2 to 5 enterprise mobile applications, while 27% of others use 6 apps and even more. 77% of companies agree that enterprise mobility is quickly growing, comparing to the world of business mobile apps 2 years ago. Mobile apps help increase workers’ productivity and automate task completion: 60% of employees use mobile apps for work-related activities. By using enterprise mobile apps 47% of companies have already improved their internal communication. It seems like all companies are striving to use custom mobile app development to accomplish certain business objectives. There are a plenty of benefits you can get with the implementation of a mobile tool. Let’s consider the main ones. If your company specializes in selling some goods or delivering some services, you can integrate a mobile app for opening a new sales channel. Thanks to a mobile tool you can provide your customers with a menu/catalog of your goods or services, send them push messages, notify about shares, discounts, and special offers, respond to app user comments, post company news and advertisements. Also, implement the ability to make payments via a mobile app as well as contact you with one-two clicks. Thus, you kill two birds with one stone: constantly get in touch with your customers and motivate them to make more purchases. Here we should note that these features can be used as a part of your digital loyalty program. Add a loyalty card to them and get an increased customer loyalty. Building a convenient mobile reporting system is a great ability to improve business internal communication. 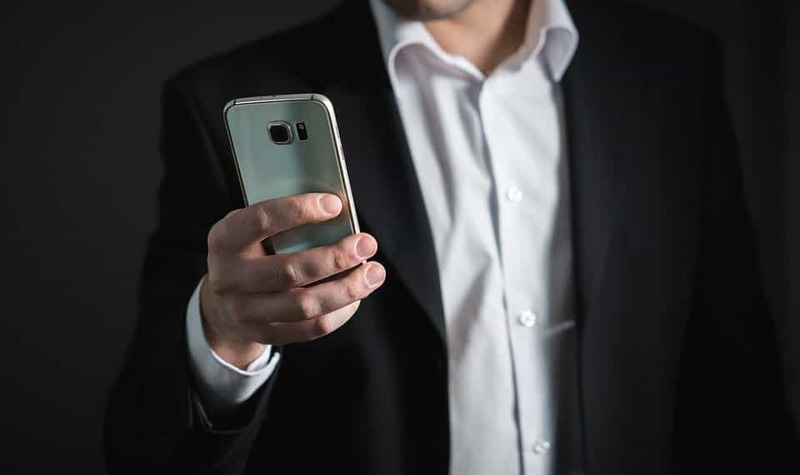 You can develop an enterprise mobile app that will allow you to gather reports of your employees, set automatic reminders about report preparation for a certain deadline, inform workers about meetings, sort reports by filters, and more. It will be reasonable to implement the support of electronic signatures and the ability to edit and comment reports and other documents. Such mobile tool will help you enhance staff management process and communication within your company as well. Custom mobile app development is widely used for building tools for business process automation. Acceleration of daily tasks and activities and repetitive processes is an effective way to raise employee productivity, minimize human participation in some operations, and organize company work. Find more about mobile solutions for workflow automation in our post “How to automate business processes by using mobile apps”. Another way to benefit from mobile application development is to increase recognition of your brand and brand loyalty. It’s a new way to connect with your customers, provide them with useful information, advertise your goods or services, and raise brand awareness. For example, a restaurant can notify customers about upcoming events and send invitations with a discount, inform about special offers, post news and advertisements in a news feed, publish interesting recipes and other useful information to engage your app users. The integration of enterprise mobile apps can help your organization to concentrate on the main tasks and goals and streamline performance. Companies of various size often use several solutions. One application for simplification of internal business communication, a second for staff management (mobile reporting, tracking of employee activities, assignation of tasks, viewing of working schedules, etc. ), a third for document management, and so on. With the implementation of a system of mobile tools, your company will be able to focus on the principal objectives, make workflow paperless, and automate business processes. Usage of mobile apps is one of the favourite ways to improve inventory and supply chain management. It’s especially useful for logistics and transportation industry. Thanks to a mobile tool you will be able to solve such operational challenges as tracking drivers’ activity, receiving notifications about goods arrival, managing supply chains, and inventory, building the most optimal routes, checking trucks’ and loads’ locations on the map in real-time. Implement such useful features as GPS-navigation, calendar, email notifications, location tracking system, zip-code tracking, and search, as they will help you optimize supply chain and inventory management. Thus, with the help of enterprise mobile app development you can encourage business growth through business process automation, improved operations, and staff management, and workflow optimization. So, if you’ve decided to create a mobile application, start with the definition of the primary objectives you want to meet and tasks a future product must solve. Take into account that different projects require different tools and technologies: for some of them, it’s better to choose cross-platform app development (a working cost-efficient solution for both platforms), for some – stay on native application development (a quality application). Other points to consider is the number of operating systems and the app key functionality. Before taking any technical decisions we advise you to consult a mobile app development company and listen to their recommendations and estimations. This will help you determine your budget, calculate the approximate time for the working process, and define all the requirements, from app idea and objectives to business logic and product architecture. So, pay special attention to choosing a mobile app development company, that will become your reliable partner, as it directly affects project success.